So much of my week has been consumed with a focus on what workplaces and employees can do to drive gender equality. And I have loved the opportunity to share a platform with and learn from other leaders - women and men - as we collectively continue to #pressforchange in 2018. They say that empowered women empower others. And so International Women's Day is always an opportunity for me to reflect on my own life, and in particular on those who empower me. Undoubtedly one of the key enablers of my own empowerment has been my husband's willingness to take 3 months' parental leave, work flexibly, and share the carer responsibilities at home. While we'd probably both claim there is what Annabel Crabb describes as a "wife drought" in our house, I am eternally grateful to him to find myself in a position whereby I can call myself empowered. But also worthy of mention are my girlfriends, of whom I am truly blessed to be able to say are many. 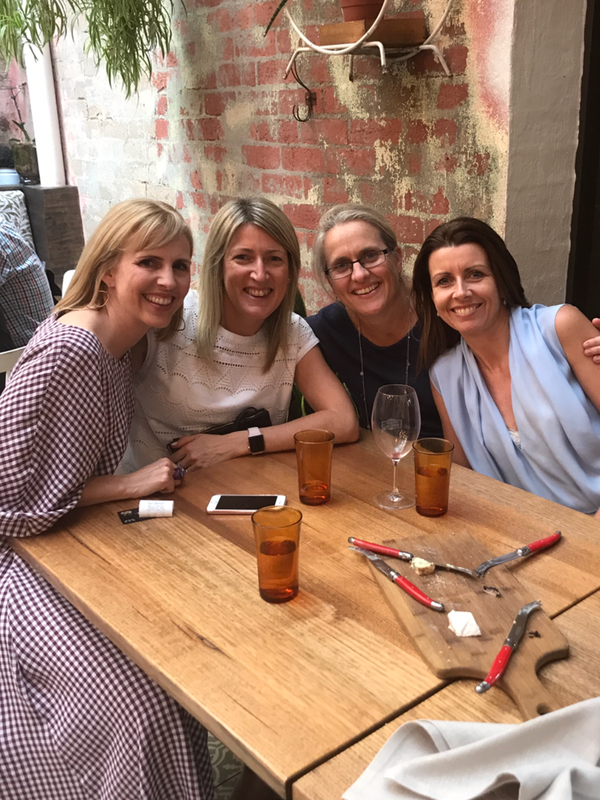 In any given week, these women fill my bucket with laughter, compassion, tough love, career counsel, mum-support, relationship counsel, and provide the space for tears, hurt and anger. A couple of weeks ago I was at a conference where a female leader talked about the need for working mums with school-aged kids to have networks of, well, other working mums with school-aged children. A place to vent your guilt about not conforming to the "ideal mother" and be consoled for having tried to drop your children at school on a pupil-free day. While I love dearly my friends who fall into that working mum camp, my last stop as part of my International Women's Day, at 9.40pm, was to give flowers to a girlfriend who has pressed pause on her own career. She is the mum of my four year old's best friend. A woman who is kind, generous, loving, & supportive to me and my babies. She's great for a drink, a download, and keeps me connected to what I need to know when my work-life takes me elsewhere - without judgment. As I drove away from her house, I felt an overwhelming sense of gratitude to those who are not in gainful employment, and give selflessly to the care economy of our society. And so in our pursuits for women's empowerment, and with the knowledge that women retire with less than half the superannuation balances to those of men, let us leave NO woman behind as we #pressforprogress.